Apple’s WWDC 2018 has been flagged off on June 4, and everyone is eagerly waiting for the new updates regarding Apple products and the whole keynote. Regarding the rumors that were pouring in for the last few months and the expectations of many, there are good news and bad news. The bad news is this year WWDC mainly focused on software updates and sadly no hardware updates. And the good news is we are in for a treat about the newly launched iOS 12. 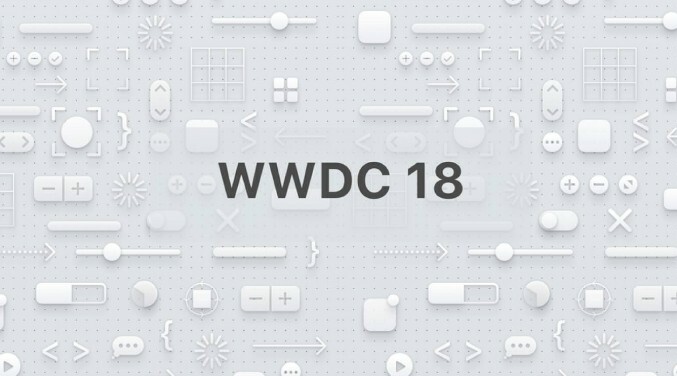 So, going by only software updates, here are the most anticipated and confirmed announcements of WWDC 2018 keynote. It is absolutely confirmed that iOS 12 is here from WWDC 2018 news. And this year the operating system is all about the performance as stated by Apple. There were many speculations about a tweaked Home screen and camera etc, but all of these were ditched in favor of performance and overall stability. Though this was also speculated in the first place! 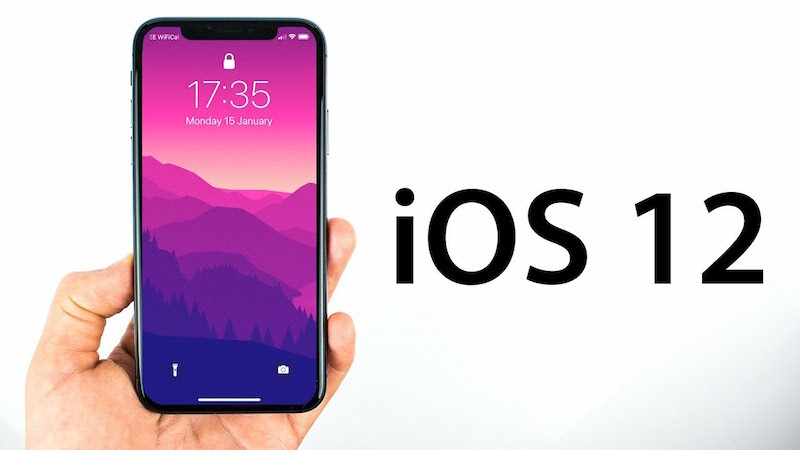 Basically, Apple is looking to make iPhones faster, responsive and glitch-free and much to your delight iOS 12 will be supported till iPhone 5S just like the iOS 11. So, no wipeout of older models! As per the announcements, app loading will be twice as fast and performance is doubled across the whole system and not to forget the bug-free experience that was not there on the previous iOS 11. So, overall, huge improvement in the OS ecosystem in terms of performance! Speculations on AR or Augmented reality were there from the start and we are glad to announce that Apple is thinking of this as its future. As per Apple, “It is a transformational technology” and it is the first brand new feature that they have worked on teaming up with Pixar. They have also announced a new AR file format as well known as USDZ. This format is supported by Adobe and AR-driven app Measure. They have also come up with a standalone developer tool based on ARKit that boasts improved face tracking, AR sharing experience, and 3D object section. The interesting feature being AR sharing around you and your iOS devices! Fender and Lego are also with them, and they showcased some interesting demos as well. With the toy giant showcasing an impressive demo of ARKit 2’s multiplayer support with two iPads; a total augmented reality experience with Lego town, reality strolls and walks etc. You are sure to get a smarter Siri now as per WWDC 2018 announcement. Siri, the famous voice/AI assistant of Apple, is already opened to developer apps, but what makes this update interesting, is versatility and added new features. A new developer tool named as “Shortcuts” is here which can help developers to include personalized ideas straight to Siri. With the help of this feature and the app, users can also try creating Siri workflows on their own. An example demonstrated something like a Tile App Tracker that gets activated when you create a voice command for something like “Please find my keys”. This will get identified as an option inside the Shortcuts app as "Add to Siri". So custom commands are supported now! Other than this, it can also make suggestions even if the screen is locked, can make your phone silent if you are inside a movie theatre, it can alert you with prompts about meetings, timings etc. The Photos app has got a great update which boasts a smart search feature. There is also a new 'For You' option that will make suggestions. It will include anything from making a GIF, suggestion to who are in your clicked photos for sharing. Improved facial recognition feature using iCloud Photo Library is there as well. As rumored earlier, there is a brand new Stocks app. But the exciting part is the Stocks app will be combined with the News apps now. The app is also coming to iPad as well as Voice Memos, which will be synced to iCloud. Other than this, iBooks is officially Apple Books now and CarKit will now be supported by other 3rd party applications when it comes to navigation. The Do Not Disturb feature will now boast a seemingly reduced notification prompts when you don’t need them. The main aim here is to make the whole experience less noisy. There is a proper timer named as Screen Time which can help monitor and limit screen time usage based on category or apps. There will be an option for Grouped notification to make things easier and faster from the lock screen. First things first, Animoji will feature tongue detection now. Though a bit quirky, it is something cool. And the party trick now is you will be able to create your own emojis or rather you can become an emoji. This feature is named as Memoji and it is a new thing in the Apple ecosystem. Apart from this, Messages application will come with Snapchat-like filters to enhance the experience. This sums up the messages section of the new update. As rumored by many, Apple has finally confirmed multi-interaction FaceTime video calls. It can now support up to 32 participants in a single video call which will also include Messaging for easier launching. The interface will look something like a moving tile display of individual faces. There is also the integration of Animojis as well as filters inside calls. Apart from these new features, audio calls in FaceTime will also be supported on Apple Watch now. The watchOS 5 was more or less rumored to come with improved fitness-related features and enhanced communication. And it has been true! Now you will be able to challenge your friends into competitions. You can also monitor yoga sessions as well as boasts improved support for trekking and fast-paced running. It can also remind you if you forget working out, detect as well as suggest start and stop workouts. There is an intuitive Notifications system with support to manage reservations and payment for something via the Apple Pay app. There is a new “Walkie-Talkie” feature to enable push-to-talk audio messages. It also boasts Siri with Shortcuts and support from third-party apps now as well as background audio. Apple Watch will also support web content now and Apple Podcasts app is finally coming as well. No, “Hey, Siri” anymore! Raise your Apple watch towards you and it’ll start to listen effectively. There is nothing groundbreaking on the updated tvOS but definitely worth a look. The Apple TV and Apple TV 4K will now get the support of Dolby Atmos. This is a great upgrade for a smart surround sound system instantly. The only TV with Dolby Vision as well as Dolby Atmos certifications! This is a cool new feature that Apple introduced here. It will basically allow supported applications automatically in your TV service or broadband network. This will ensure that if you are connected to your provider’s network, you won’t have to go through the infamous sign on process for channel apps. iTunes will have a huge of collection of Dolby Atmos-supported movies and many of them will be for free as well. Aerial screensavers have got an upgrade as well. Siri will now be able to showcase locations and interesting information on aerial, high-altitude and drone shots. Apple has introduced the new Mac OS named macOS Mojave in WWDC 2018. It has a lot of new features that are particularly executed for Mac lovers all over the globe. They have listened to the queries and the expectations of the users and have delivered an exciting system. But expect iOS and Mac single-interface compatibility to be coming until next year. A feature called 'Dark Mode' has been introduced by Apple on mac0S Mojave. This will essentially make Apple’s 1st-party applications to take a darker hue visually. This will make the entire theme soothing to the eyes especially at night. This is going to be a great feature for editors and developers because it can help them in their activities such as editing pictures with the help of a darker background and clearly visible codes during long usage respectively. Desktop stacks is a new feature that can help clear your desktop. This basically makes a stack of a group of icons taped under a single pile which can expand with just a tap. You can move with the help of gestures through these stacks and scroll individual files whenever you need. This will also feature location and time-based changing desktop wallpapers as well. If you want to get contextual info on something, the new Gallery View feature will provide fast results. For example, you can add watermarks automatically to PDFs using the customizable options from the Finder. There are also a few enhancements in the Screenshot capabilities as well. From the Apple keynote announcements, a redesigned App Store is also coming to macOS Mojave. This will look more or less like the new iOS store that we all like. Apple Stocks is coming here as well. There will also be Apple Home, News, Voice Memos as well. There is also a new Safari which has improved security features. It is wiping out 3rd-tracking option. 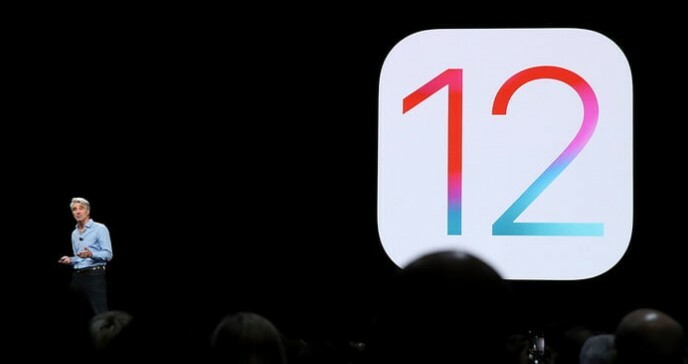 Overall, these are all the new features of iOS 12, tv OS, Mac OS and watch OS live from Apple WWDC 2018 that are confirmed and coming to us in some time. These features clearly state the performance-oriented upgrades that are implemented by Apple. All these enhancements are subtle yet much-needed. Overall, it looks like a potential update and a vast improvement. Most importantly, there have been cues of more updates coming to developers in the future as well. In case, if you want to manage your iOS data, optimize your iDevices and prepare your iPhone or iPad for iOS 12 update, simply go for Tenorshare iCareFone. It is an all-in-one utility tool that can effectively manage all your iPhone data and can make your iPhone user-experience a whole lot better. Highly recommended! !